This year, though, I’m going to be posting two separate lists specifically related to English Language Learners. The first is this one, which shares my choices for the best resources made available this year for teaching ELL’s. In a month or so, I’ll be posting a second list that will share sites specifically for students. That second list will be ranked, and will include a readers’ poll. This one is not ranked, and I have not included a way to vote. Complete United States History Curriculum Available Online: As regular readers know, during the last school year I taught two U.S. History classes to English Language Learners — one in a regular classroom and the other in the computer lab. You can read more about the results of this research experiment at Results From My Year-Long U.S. History Tech Experiment. I used a blog during the computer lab class. You can access the United States History Class blog and see an entire year’s of lessons designed for student self-access. You can also see links to the students blogs used during the course. The lessons include quite a bit of original material I developed for use in both of the classes, and they are available for download (during the year students would open up the documents and cut-and-paste the exercises into their own blogs). You’re obviously welcome to use the resources there with your students. I just ask that you not publish or reprint any of my original materials for use other than by your students. The “Wizard English Grid”: Jason Renshaw was generous enough to share on his blog about a nifty tool he’s come-up with called The Wizard English Grid.That link will take you to the direct PDF download. You’ll see it’s a simple sheet laid out in a grid. You might be thinking, “Big deal!” Don’t stop there, though. Go to Jason’s blog post Wizard English Grids for “Finding Out” to learn how he uses it. After reading it, I immediately printed out the Wizard English Grid for use in my own English Language Learner classroom. Jason also continues to write about more ways he uses the grid and keeps all of his “Wizard” ideas in one place on his blog. Help For Lesson Planning: Tools For ESL Lesson Planning: A Book of Techniques, Lesson Plans, Activities and Resources For Teaching ESL is the name of a free downloadable book in PDF form. It was compiled by the ESL and Citizenship Programs of the Los Angeles Unified School District. It looks pretty good. Listening Activities: David Deubelbeiss has posted a very good document for ESL/EFL teachers sharing ideas for listening activities to do in the classroom. Teaching Recipes: EFL Teaching Recipes is a brand new site that immediately joins The Best Resource Sites For ESL/EFL Teachers. It’s an extremely accessible site where ESL/EFL teachers can share their lessons, including video and images. It’s just beginning, and I’m sure it’ll be filled-up with with ideas quickly. Go over and contribute some, as well as read the excellent ones that are already there! 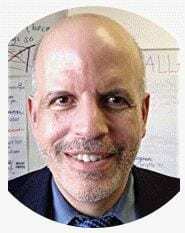 Of course, it’s not unexpected that EFL Teaching Recipes would be so good after you learn who’s behind it — David Deubelbeiss, who’s blog is on The Best ESL/EFL Blogs list and who began and continues to guide EFL Classroom 2.0, which is on a ton of “The Best…” lists. Teaching About The Environment: The United States Environmental Protection Agency (EPA) has a free 133 page downloadable curriculum that connects English language-learning with environmental issues. It’s called Teach English, Teach About The Environment, and looks pretty good to me. Classroom Starters: A nice short PDF called “Fifty Stimulating Classroom Starters” shares ideas specifically for ESL/EFL classes. It was put together by Jack Bailey and Marit ter Mate-Martinsen. News Lessons: Sean Banville is the creator of several excellent websites for English Language Learners and their teachers. Most of them are on various “The Best…” lists, including Famous People Lessons.com (which is on The Best Resources For Researching & Writing Biographies), ESL Holiday Lessons.com (lessons from that site are on many of my holiday lists), and Breaking New English (which is on The Best news/current events websites for English Language Learners).Sean has begun another site called News English Lessons. He describes it this way: “FREE Handouts, Listening & Quizzes in Simple English – Read About the Latest News and Learn English – It’s Easy.” It appears to me that it has current news materials that are even more accessible to English Language Learners than on his Breaking News site. Two hours before I was going to post this list, Sean let me know that he has just started yet another excellent site called Listen A Minute. It has short audio pieces with supporting materials and online quizzes. It looks like another great resource. Ideas For Student Activities: Pilgrims is a UK-based EFL/ESL teacher-training organization that — among other things — publishes one of my favorite online journals, “Humanising Language Teaching.” Their main site, where you can access past (as well as current) issues, is on The Best Resource Sites For ESL/EFL Teachers list. Ozge Karaoglu, whose blog is on The Best ESL/EFL Blogs list, attended a Pilgrims training and wrote two great posts sharing lots of ideas she learned about student activities. You probably already know many of them, but there certainly were some new ones to me. Blogging Advice For ESL/EFL Teachers: Karenne Sylvester put together an incredible collection of ESL/EFL bloggers responding to the question What advice would you give to another TEFL teacher interested in becoming a blogger? Thirty-one teachers of English Language Learners responded. Trust me, you don’t want to miss this post. For what it’s worth, you can read my contribution here. ESL/EFL Teachers On Twitter: Burcu Akyol has put together an excellent list of ESL/EFL teachers you can follow on Twitter and Shelly Terrell has done the same. 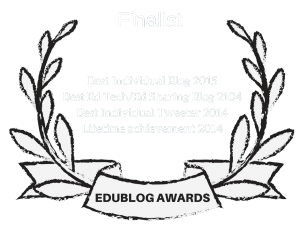 ESL/EFL Blogs: I posted my choices for The Best ESL/EFL Blogs. Teaching English With Music: I did an interview about this topic with a music education site that people might find helpful. Writing Activities: David Deubelbeiss has written a nice post sharing quite a few good writing activities to use in class. Finding New Websites: I’ve written many times about the great site Ressources Pour Le College. It has a ton of great resources for English Language Learners. Michelle Henry, who has been the primary person responsible for locating and organizing all of these resources, is no longer updating that site. Instead, she has created a new site that should be bookmarked by all ESL/EFL teachers. Getting A Laugh: If you teach English, and if you have a sense of humor, you must go to David Deubelbeiss’ post Funniest videos about teaching / learning English and watch the videos. Feel free to contribute additional suggestions in the comments section. You might also want to explore over 300 other “The Best…” lists I’ve compiled. Hi! I’ve been running a website myself ro years now and believe me, I’ve learned from my mistakes. Pleeeeeeeeeeeeeeease! Make your links blue! Navigating your blog is veeeeeeeeeeeery confusing. First off, the titles look like links because they’re in bold and underlined. Then, the real links are in the same colour as the rest of the text. Links should be some shade of blue. And please, don’t underline them. They’re a lot more difficult to read. I’m not so sure…. One thing I’ve learned is not to assume what I find appealing as appealing / useful to everyone. Design is tricky. However, I do agree about the titles. But blue would tend to take away from the “seamless” feel and make things kitschy. But that too is just my honest opinion. Larry, Thank you for the kind mentions and support! I really second others reading about Jason’s Wizard English Grid! It is just such easy/functional and student centered ideas (what I’ve promoted for years as SCC – student created content) that really help our students and also make our teaching lives easier. Thanks Jason! You can follow the “SCC” tag on Teaching Recipes to get similar activities. I’m always in awe of your success and your energy! Thanks for sharing all these wonderful resources with us!! You deserve special thanks from both the teachers and learners of English around the world for introducing them such sites which can be used as resource materials. Do not forget to consider the relevant suggestions put forward by Juan Antonio. Good Luck.. Thanks so much for your great contributions for EFL teachers! I am an English teacher from China, and I am so glad to read your recommended resources in such a special day, Thanksgiving Day.